Yes, the people at The Independent finally did it all in one appetizer. Sweet maple waffles form the buns for buttermilk fried chicken sliders with salty crisp bacon and caramelized onion, drizzled with Chipotle aioli. 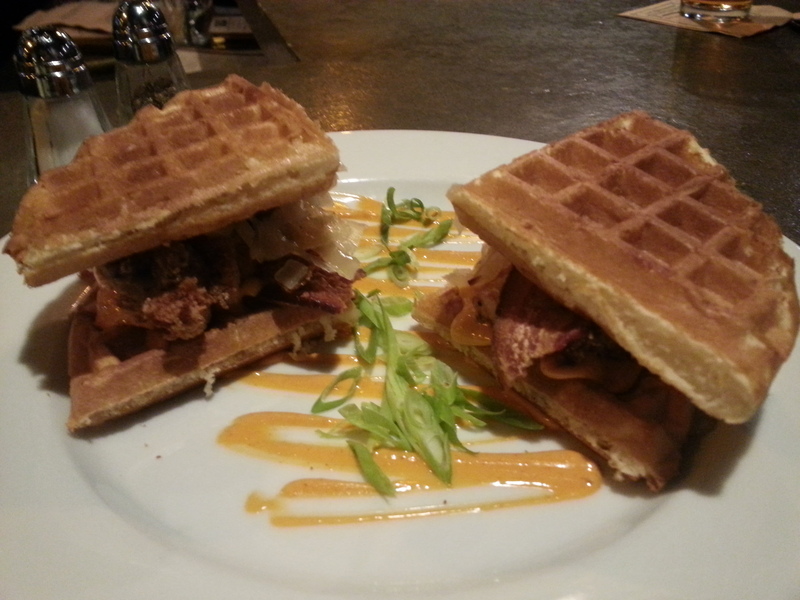 The slightly sweet maple waffle loves the smoky spicy aioli while the salty bacon matches the textured fried chicken bringing all four fab flavors together. This is worth the road trip to Hangtown alone! This entry was posted on Friday, June 13th, 2014 at 9:14 PM	and posted in El Dorado, Food. You can follow any responses to this entry through the RSS 2.0 feed.